Captain’s Retreat B&B located in Williamstown, Melbourne offers 5 lovely rooms or suites with beautiful decor, very comfortable beds, ensuite bathrooms, digital televisions and much more. 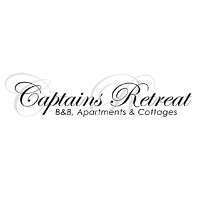 Captains Retreat B&b, Cottages and Apartments offers a home away from home without the hassle. We offer a range of boutique accommodations across Sydney, Perth and Brisbane. It has won some of the prestigious awards, including Trip-advisor's excellence awards. If you are a traveller and looking for an accommodation, bed and breakfast options in Sydney, our serviced apartments offer all you could possibly wish for an overnight or longer term stay. Our service apartments are located in a vintage and Victorian style home built in 1862. 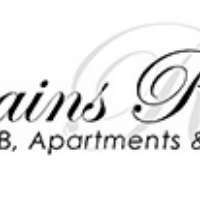 We also provide luxury bed & breakfast with spa tub and spa services that don't break your bank account. Our Bnb, Cottages and Apartments are located in the heart of Williamstown, and within a very easy walk to restaurants, shops and yacht clubs. We have total 8 rooms, 8 bathrooms, 2 lounge rooms, with following 5 types of Bnb options to choose from. 2. Bay View Apartment located across the road from the Bnb. 3. Tree View, a 2 bedroom and one bathroom Apartment is located behind Williamstown's main shopping strip. 4. Victorian Cottage, a gorgeous heritage residence with two bedrooms, a kitchen and a dining and living area. 5. Williamstown Cottage is a renovated stone cottage which is located next door to the B&b. if you are looking for a Bread and breakfast options or apartments while visiting Sydney, Brisbane or Perth consider staying at our apartment. Check accommodation availability, as well as book an apartment online from Or contact us at +61 3 9397 0352 to know our tariffs.